Woman are changing the world every day, taking further steps after steps and making the world better and better day by day. 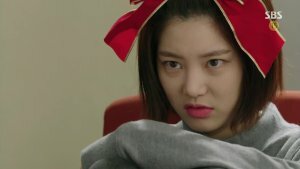 Just like how there are female figures whom we all look up to and respect whole-heartedly, there are many extraordinary female characters we can find within many Asian dramas. These amazing female characters from dramas who will be mentioned here are my favourite female characters from various dramas I've watched and enjoyed, thanks to the character. I mean, who doesn't LOVE her? The character of Do Bong Soon is both unique and highly loveable! Starting from her supernatural powers to her quirky and fun personality, Bong Soon is amazing. And, she's what makes the drama Strong Woman Do Bong Soon so special in our hearts! It's easy for anyone to fall in love with Kim Mi So. A true female character who is self-dependent, strong-willed and a charming personality. Among all the female office workers we can find in K-dramas, she is one real icon. We can find numerous iconic female leads among historical/Wuxia Chinese dramas. And among all of them, Bai Qian is a favourite. Her character is strong, unique, lovable and a real girl-crush material. The way how she's so merciless towards the people who mess with her is rare to find within female leads. 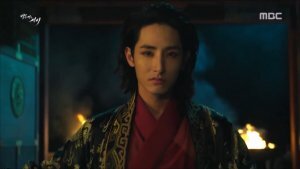 Bai Qian brings down most stereotypical sides of a normal female character with her own unique and highly charming character! If we are talking about funny but unique female characters here, that would definitely be Bu Meng. Unlike every other historical C-drama where the concubines are dying to be with the emperor, Bu Meng is completely different and she wants the opposite, which is to avoid the emperor. Her character has the charm of its own and I love that! A female CEO is hard to find in K-dramas and we ALL are aware of that. 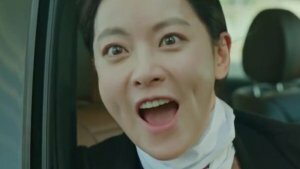 That's why, TvN's Encounter had surprised us with the unique plot and reversed roles for the main characters and, we absolutely LOVED it! I loved how they showcased woman-empowerment with a female leader and how it changed the stereotypical trend of Rich Man/Poor Woman or Male Boss/ Female Employee romance within K-dramas (Not that this trend died though). Despite how Cha Soo Hyun had lived her life against her will, she was taught how to break all barriers and live freely with the help of falling in love. Thank you for reading my first article! Comment down below your favourite female characters from dramas as I'd love to know your opinions!